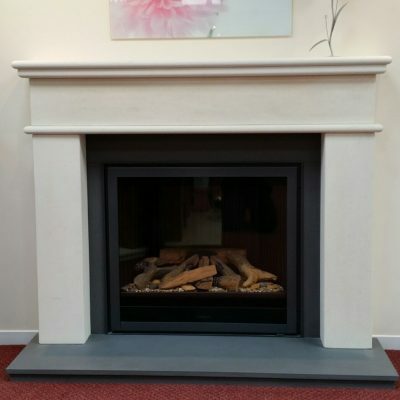 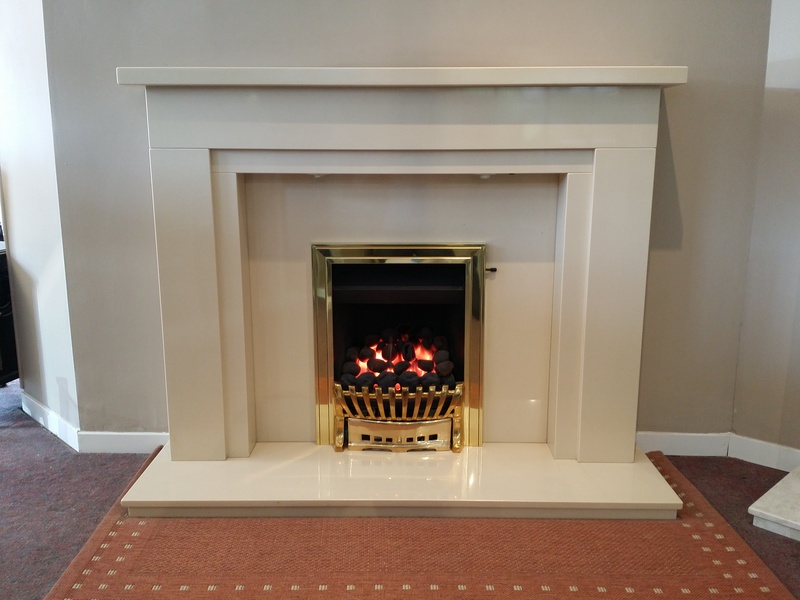 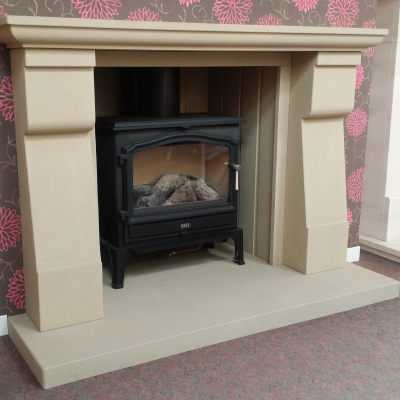 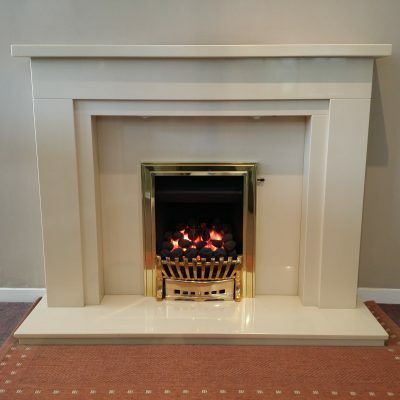 Clean lined contemporary Marble fireplace manufactured in Carmela Beige Marble, complete with matching panel insert and boxed/lipped profiled hearth. 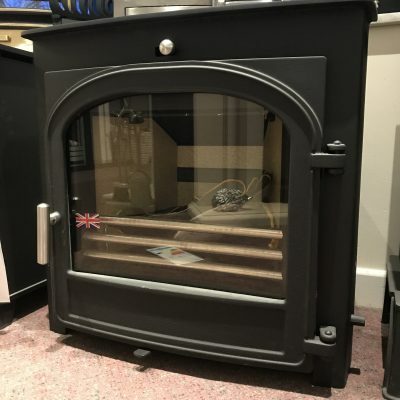 Clearance price also includes the interior spot lighting pack. 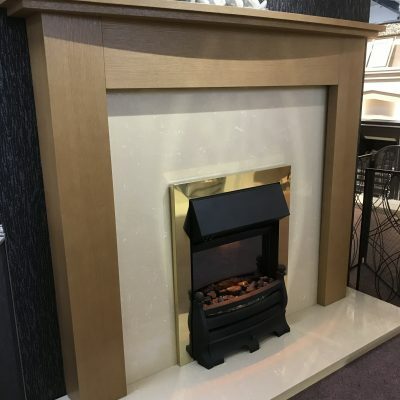 Please call into the showroom or telephone for more information on this offer.